Astralean is used for medical purposes (they are treated with bronchial asthma), and also has widespread use in strength sports due to its property of burning subcutaneous fat. 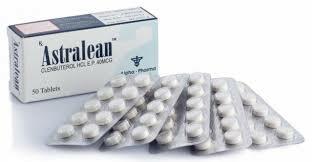 Astralean is an adrenergic agonist acting through the excitation of beta-2-adrenoreceptors. The action of Clenbuterol leads to the stimulation of the sympathetic nervous system and the launch of lipolysis processes – the destruction of fat. Astralean prevents the destruction of protein in muscle tissue and has some effect on its growth. For men, the recommended daily dose of Astralean for muscle drying and weight loss is about 120-140 mcg per day (this is about 5-7 tablets). Women – 100 mcg. The duration of the course is about 2-4 weeks, sometimes more – it depends on the goals of the athlete and his condition. Since Astralean causes tolerance in the body to its action, it is recommended after 2 weeks of use to take a similar duration of taking a break, and then repeat the course. Some athletes practice the so-called “pulse rate” – 2 days of admission, 2 – rest. To enhance the effect, Clenbuterol is often combined with drugs such as Ketotifen or Thyroxin. Ketotifen has the ability to restore the sensitivity of adrenoreceptors to Clenbuterol, which allows you to increase the impact and extend the course of the reception to 8 weeks. Along the way, ketotifen eliminates mental arousal that may occur after taking Klenbutirol.